Easter, Passover and … April Fish Day? As I was doing some reading this week, I came across an article that spoke volumes to me about a meaningful message for both Passover and Easter. It had to do with hope. I want to share it with you here. Of course there is also another tradition at this time of year for many children. 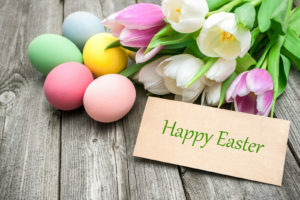 Fellow author and friend, Margo Lestz has an excellent post here comparing the traditions of children and chocolate at Easter. You may be surprised how the legends differ. Chocolate is not quite so important at Passover. 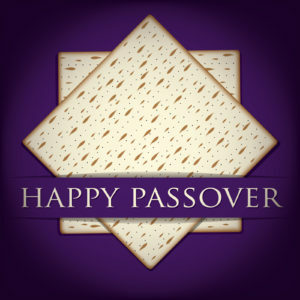 But the traditions and foods that go along with the special meal, the seder, are celebrated every year. Coincidentally this year, in some countries, this Sunday is also April Fool’s Day. For those who haven’t heard before, April 1st is celebrated in an altogether unique way in France. 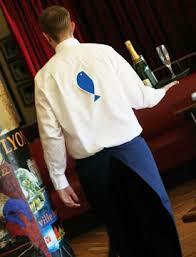 As Wikipedia explains: “In Italy, France and Belgium, children and adults traditionally tack paper fishes on each other’s back as a trick and shout “April fish!” in their local languages (pesce d’aprile!, poisson d’avril! and aprilvis! in Italian, French and Flemish, respectively). 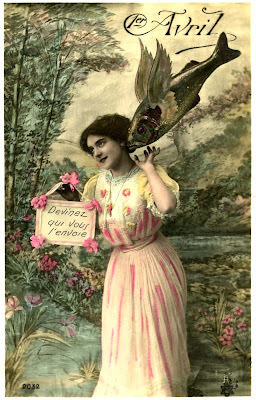 Such fish feature prominently on many late 19th- to early 20th-century French April Fools’ Day postcards. I had no idea where the tradition began and, after a bit of searching, found this explanation on France Travel Guide. “Although the origin of April Fools is obscure and debated, the most widely accepted explanation actually credits the “holiday” as starting in France. The most popular theory about the origin of April Fool’s Day involves the French calendar reform of the sixteenth century. The theory goes like this: In 1564 King Charles XIV of France reformed the calendar, moving the start of the year from the end of March to January 1. However, in a time without trains, a reliable post system or the internet, news often traveled slow and the uneducated, lower class people in rural France were the last to hear of and accept the new calendar. Those who failed to keep up with the change or who stubbornly clung to the old calendar system and continued to celebrate the New Year during the week that fell between March 25th and April 1st, had jokes played on them. 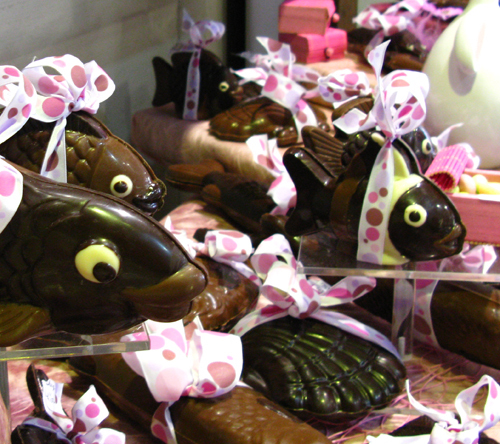 Boulangeries and patisseries deliciously get into the spirit with fish-shaped goodies. Oh … and did I mention the chocolatiers? Schools of fish of all sizes fill shop windows, the larger ones often filled with smaller treats. To a chocoholic, fish never tasted so good! Since Easter usually falls around the same time, fish feature predominantly in shop windows through that holiday as well. Wherever you are, have fun on April 1st and enjoy some chocolate. Are you a prankster on April 1st or do you just grit your teeth and hope the day will pass quickly? Is there one April Fool’s Day joke in particular that you will never forget? 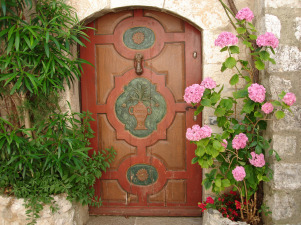 On The Good Life France (amazing photography and articles ~ you know I’m a huge fan! ), there’s another article by Margo Lestz about April 1st in France. 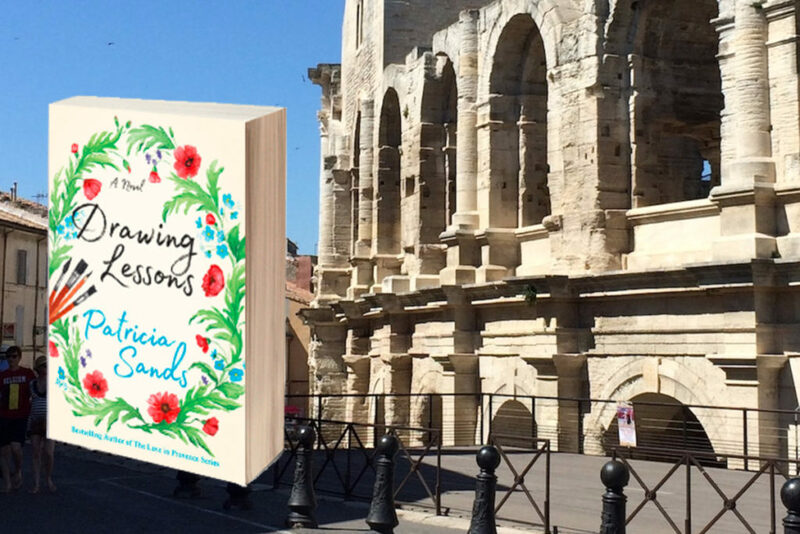 Margo writes perfectly-researched articles, as well as entertaining books about some of the quirky history and traditions of France. Click here to visit her website! How will you celebrate this very special weekend? Click here to link to the rest of the information. I have just treated two good friends to this who cannot get out much, and they are delighted with the gift. 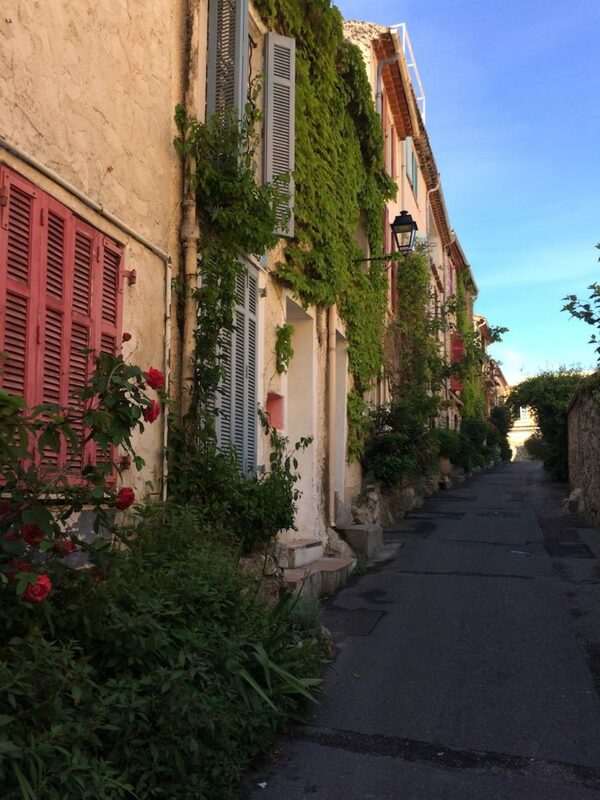 Ida’s photos steal you away to France and you have the image to savour forever. 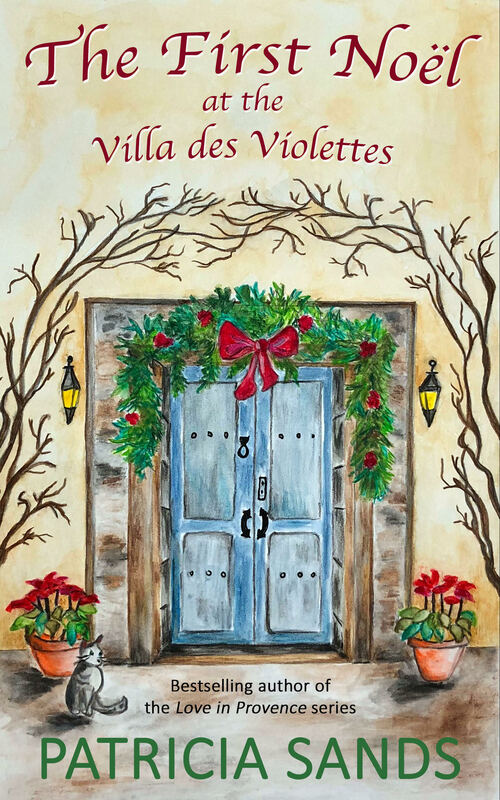 It’s the perfect gift for the Francophile who has everything! 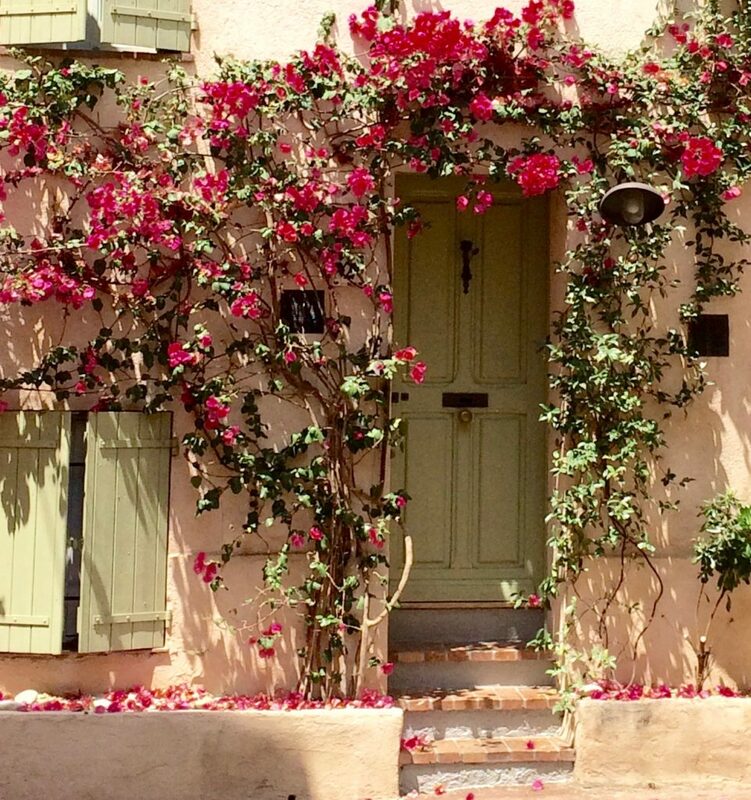 If you follow Ida on Instagram or Periscope or on Facebook, you already know she is an excellent photographer and she knows France doublement à l’envers/inside out and backwards … all the narrow allées, ancient doors and windows, perfect Côte d’Azur vistas and small details that make us swoon. 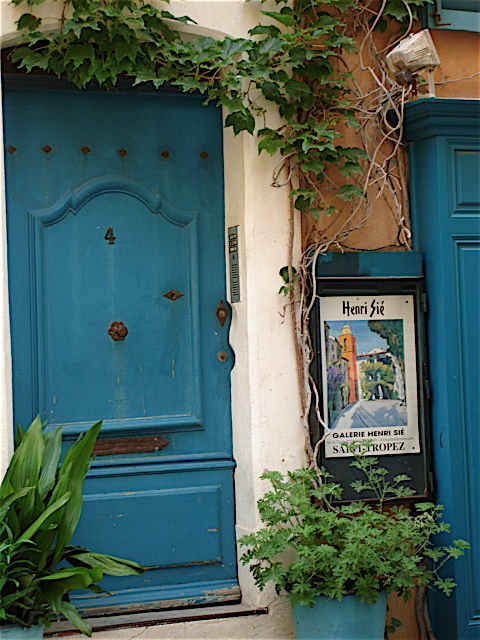 You know how I feel about sharing photos from France. 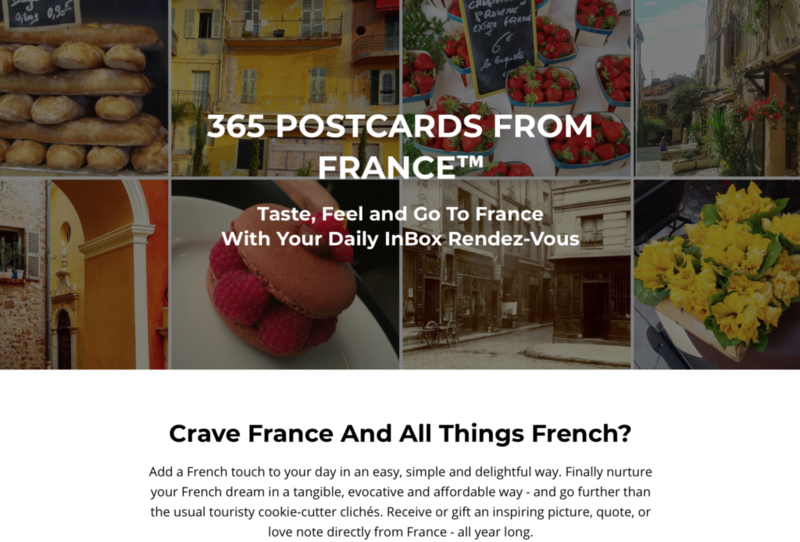 Imagine receiving one every day from Ida with un petit goût/a little taste of information about it. For a limited time there is a reduced price for the first few people to sign up. Don’t wait. Come back in a month or so and tell me how much you are loving this. I already am! And please share this with your friends. Merci! 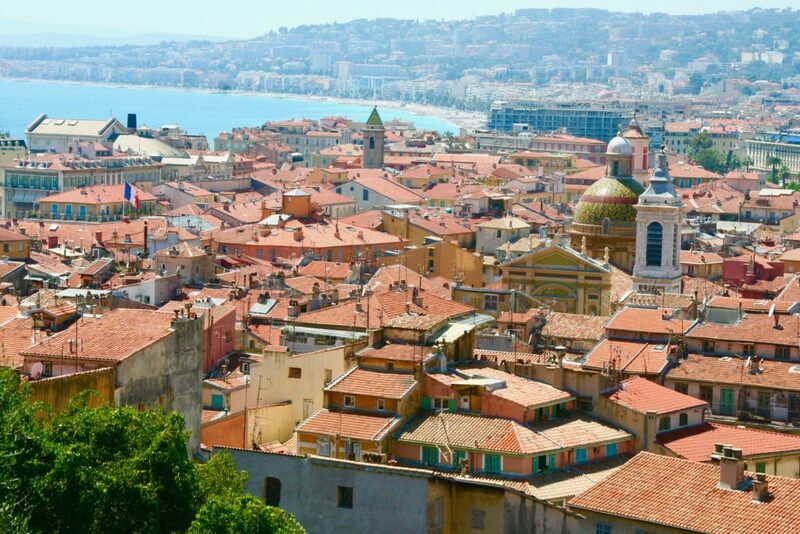 I’m hearing from my friends in Nice that it is ch-ch-chilly and une vague de froid, a cold wave, is in the weather forecast. The annual Carnaval de Nice is well under way and it’s not nearly as much fun having to be bundled up to brave the elements. So let’s think warm for everyone there! To read about all the colourful craziness of this festival, which began in 1830, click on the following link. Margo Lestz shares the history and entertaining details in “Carnival Kings, Silly Strings, and Blooming Things”. 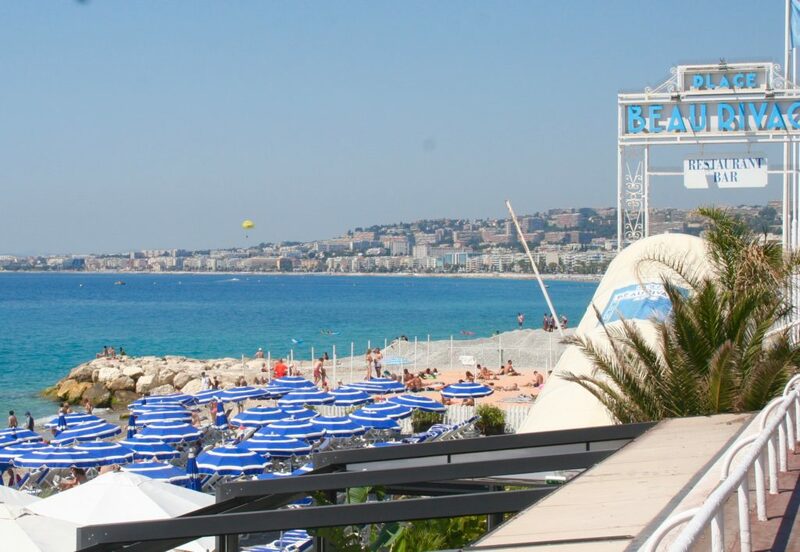 Even if we can’t be in Nice now, just reading about it will make you laugh. 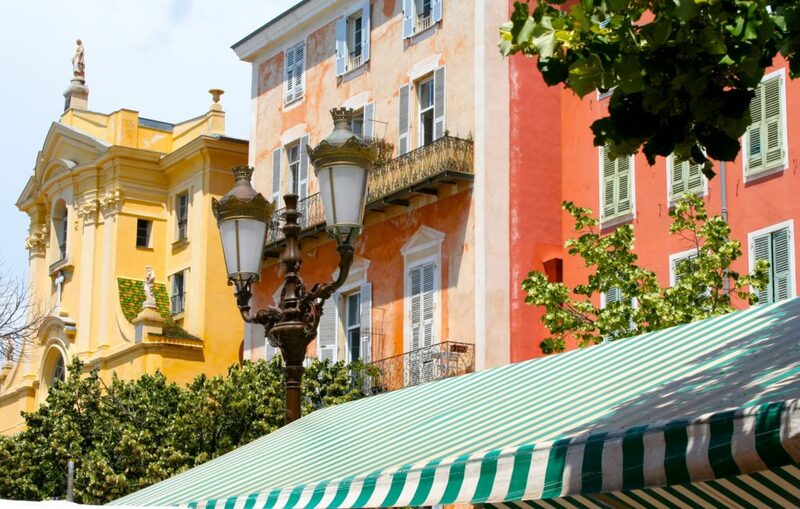 An air of warm hospitality fills the town … and, of course, temptations abound ~ such as the traditional treats les bugnes or beignets de carnaval. Deep fried pastry flavoured with orange flower water, they are simply melt-in-your-mouth delicious! 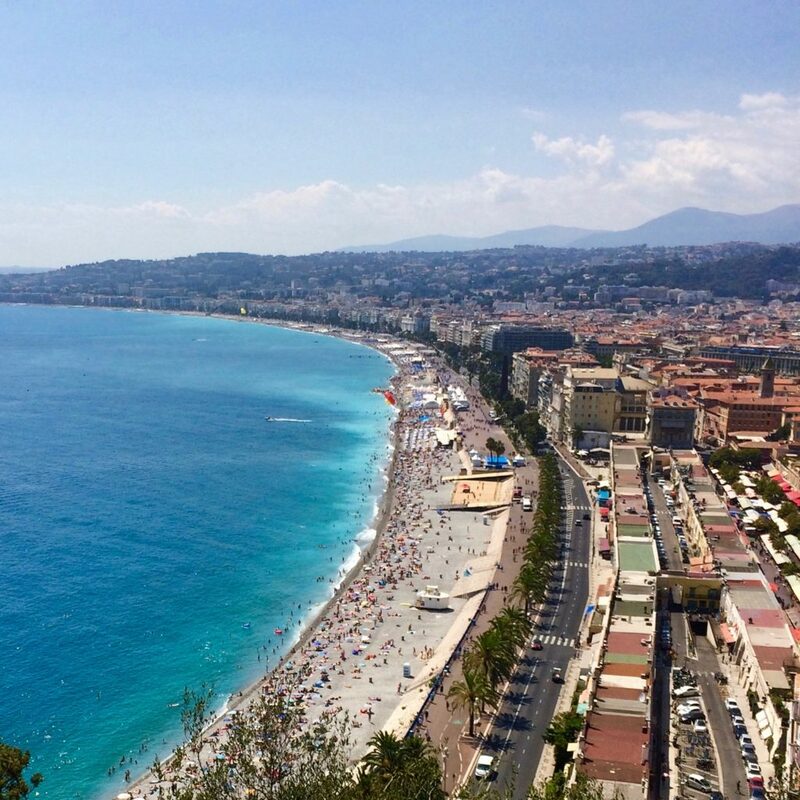 Today’s post sends out vibes of warm moments in Nice, in the hopes Mother Nature will change her plans for all the eager celebrants. Surely this year’s Roi de l’Espace, King of Space, seen in this short video, must have some influence on the elements. And even though the beach umbrellas are all stored away until summer arrives, I hope these sunny memories help stir a little warmth. Are you having a cold wave in your neighbourhood too? Whatever you are doing, I hope you enjoy a bon weekend! Come to France with us in September! 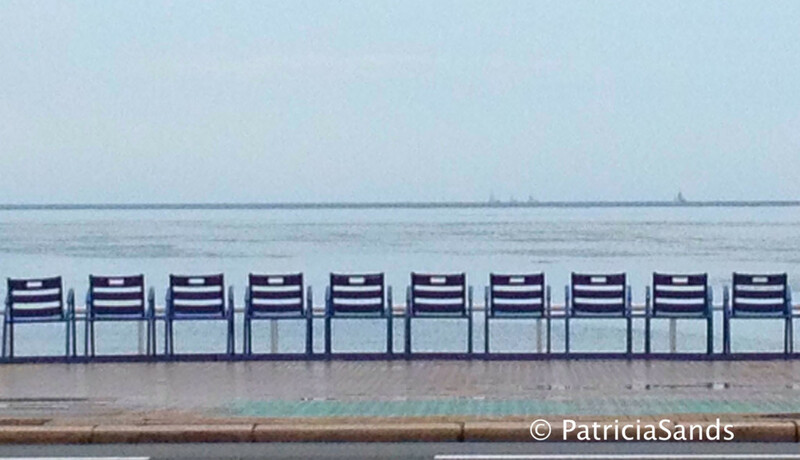 Would you love to find yourself taking a photo of this view? 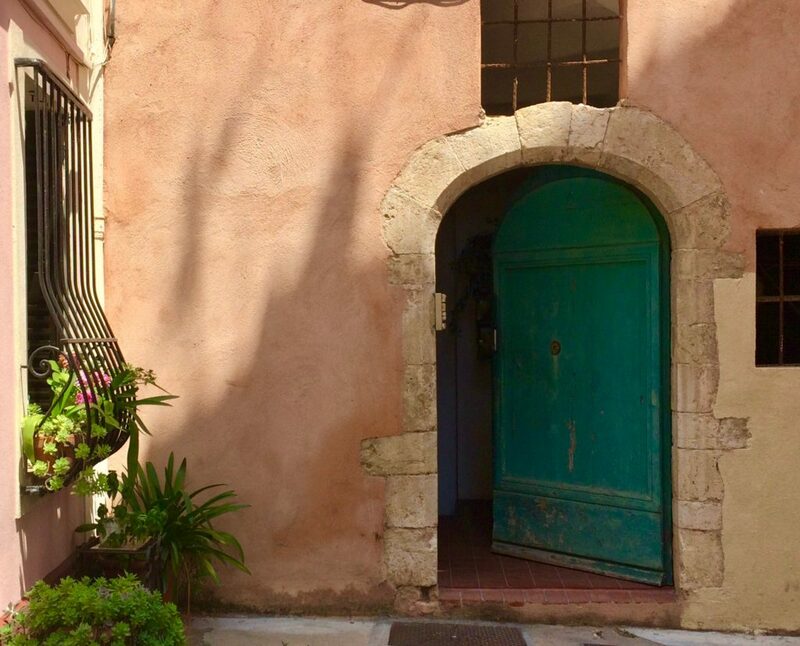 Come to the south of France with Deborah Bine and me in September 2018 and we will take you here … and many other beautiful places too! 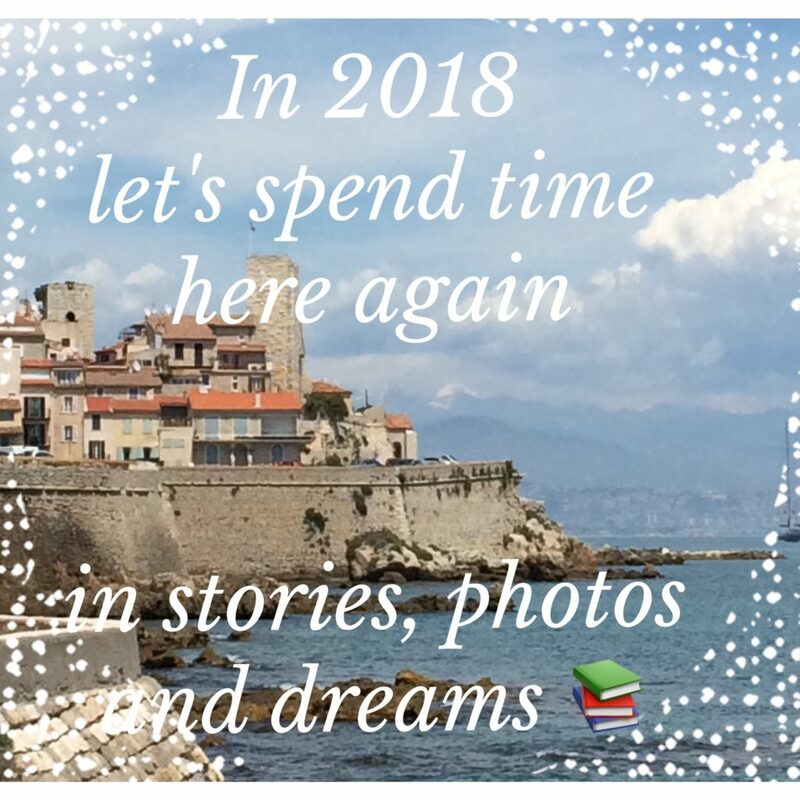 There are just a few openings left on our Memories You Promised Yourself women’s tour and we hope you and a friend, sister, daughter, mother or … some of your book club … might want to join us. Here’s a letter that Deborah sent to her newsletter subscribers this week. I couldn’t say it better myself, so she gave me permission to post it here for you too. Deborah is kind like that … and such a good friend! Have a look … and feel free to share! 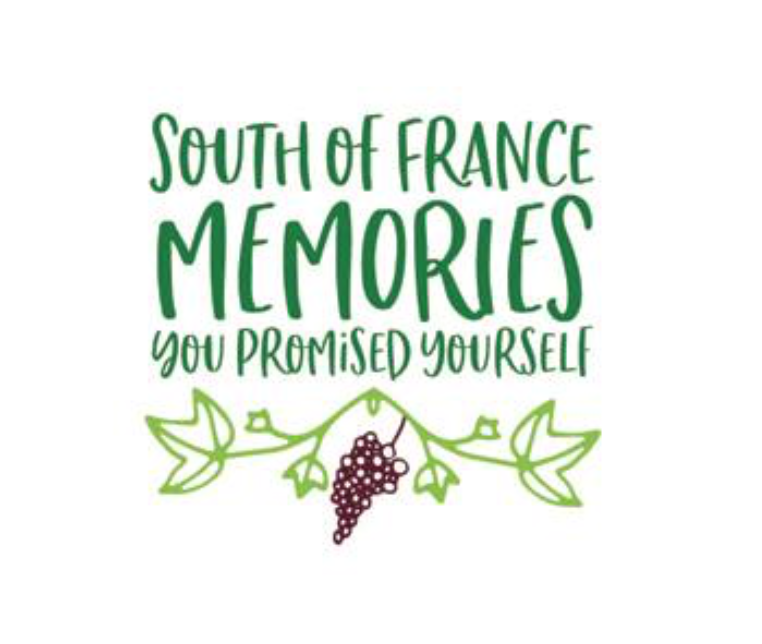 I’m reaching out to you by email to personally invite you to join me on the “Memories You Promised Yourself” women’s tour of the south of France, September 10-23. Hopefully you read my recent post with highlights of the tour. I want to encourage you, if you’re the slightest bit interested, to come along with me and best-selling author, Patricia Sands, on this adventure. I promise, you won’t be disappointed. 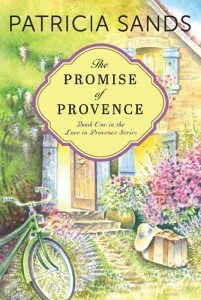 Patricia has led tours the last four years for readers of her “Love in Provence” novels. This is my first go at it. Needless to say, I’m beyond excited. Just like my move to France, it’s a dream come true. Not only do I get to spend twelve days with Patricia, who is one of my dear friends, I also get to meet interesting new people like you. 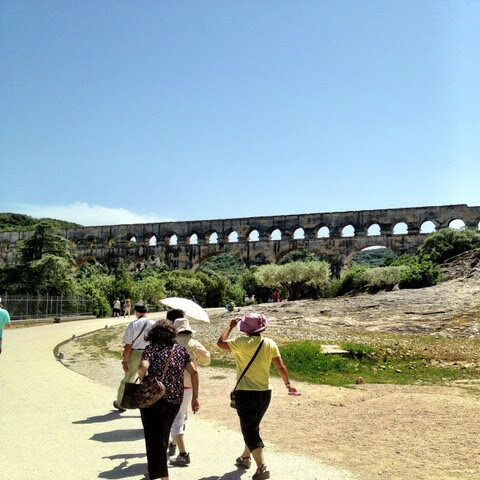 To briefly summarize our tour, we’re covering a lot of bases on the itinerary – the famous Côte d’Azur, or “Riviera”; romantic towns and marketplaces in Provence; historic landmarks of ancient Gaul and the Romans; bustling seaports and wildlife sanctuaries; as well as picturesque villages that inspired Cézanne and Van Gogh. Only a few spaces are remaining, so please check out the trip details onlineand make your reservation. Invite a friend or family member to join you and receive a $100 discount. 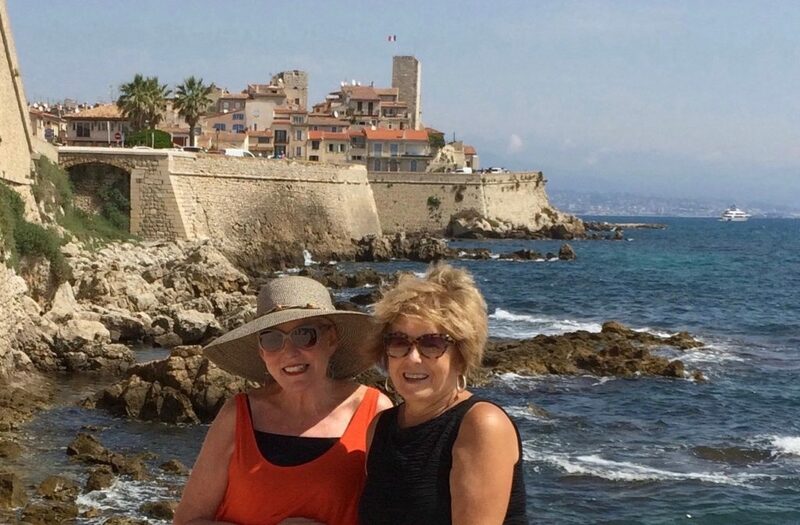 I look forward to spending time with you in the south of France! So do I! If you have any questions, be sure to send them to me. If you have concerns about traveling on your own, listen to this video from Liz Hore. Liz was one of the unforgettable group of women on our tour last year. Thanks for this, Liz! Now that we’ve finished celebrating January in France by eating la galette des rois, the king’s cake, it’s time to sweep away those crumbs and haul out the crêpes pan! February 2nd, is La Chandeleur, Fête des Lumières, Jour des Crêpes. You might know it as Candlemas. Churches will celebrate the tradition of the lighting of candles. Then it will be all about … what else, this IS France … food! Crêpes and cidre. Unlike our apple cider, this drink has a touch of alcohol. 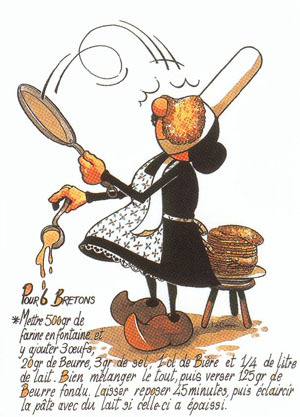 The day is often accompanied by fortune telling and in many kitchens, crêpes are flipped in the air with the pan in one hand and a coin in the other. If the crêpe lands back in the pan, the year will be a prosperous one. Children hold their breath in anticipation! Similar to our North American, Groundhog Day, there’s a prediction about winter. “Rosée à la Chandeleur, hiver à sa dernière heure.” If there is dew at dawn, winter will soon be over. As the French do so well, the day is a fun-filled, family time. 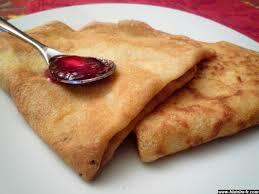 If you’re tempted to celebrate your own Jour des Crêpes, they are delicious and light and easy to make. Click right here for a recipe. There are crêpe stands or crêperies everywhere in France and today, as well as through the weekend, there will be few people not enjoying this simple and delicious food with a filling of choice ~ sweet or savoury. Crêpes have a history that goes back to Biblical times and in France, Britanny is said to have established the true crêpe recipe. Get in line right here! Bon appétit! Have you ever made crêpes? Which do you prefer, the French crêpe or it’s slightly heavier English cousin, the pancake? Are you a fan of sweet or savoury? Here’s what The Good Life France has to say about French traditions on February 2nd. 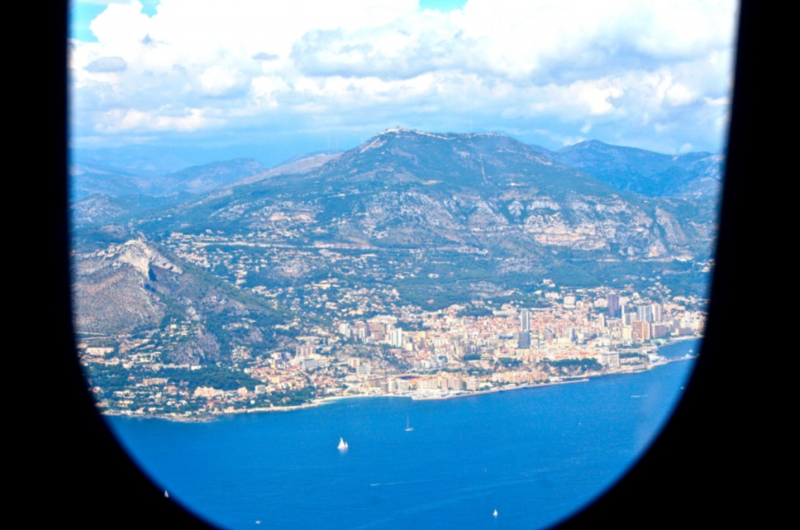 Picture yourself flying to the breathtaking Côte d’Azur! It’s official! 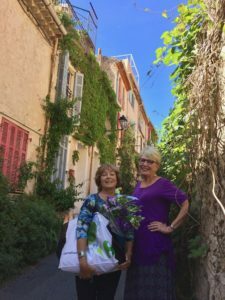 Deborah Bine (Barefoot Blogger) and I invite sixteen women to join this tour for twelve exciting days in the south of France. Most of you know that we both are totally in love with this part of the world and enjoy nothing more than sharing that passion with others. 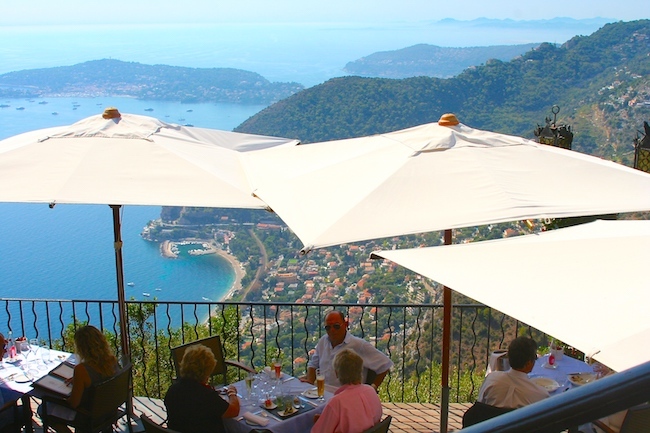 We will wine, dine and tour you to the most remarkable settings as you gather memories to last forever … avec plaisir! We are SO pumped about the fabulous itinerary we have planned that combines the right balance of active and leisure time. 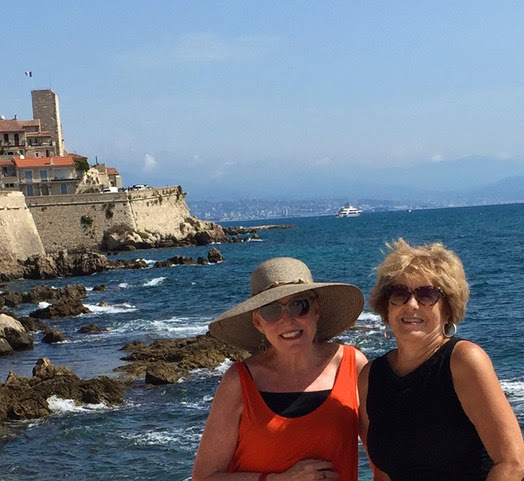 Arrangements were organized through the talents of Nancy McGee, owner of Absolutely Southern France travel company. 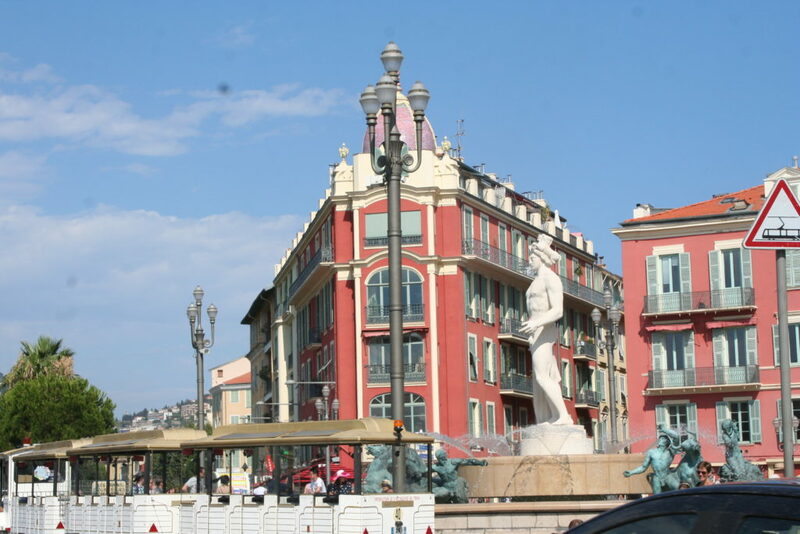 We begin in Nice and explore, for five magical days, the Côte d’Azur settings from my Love in Provence series. 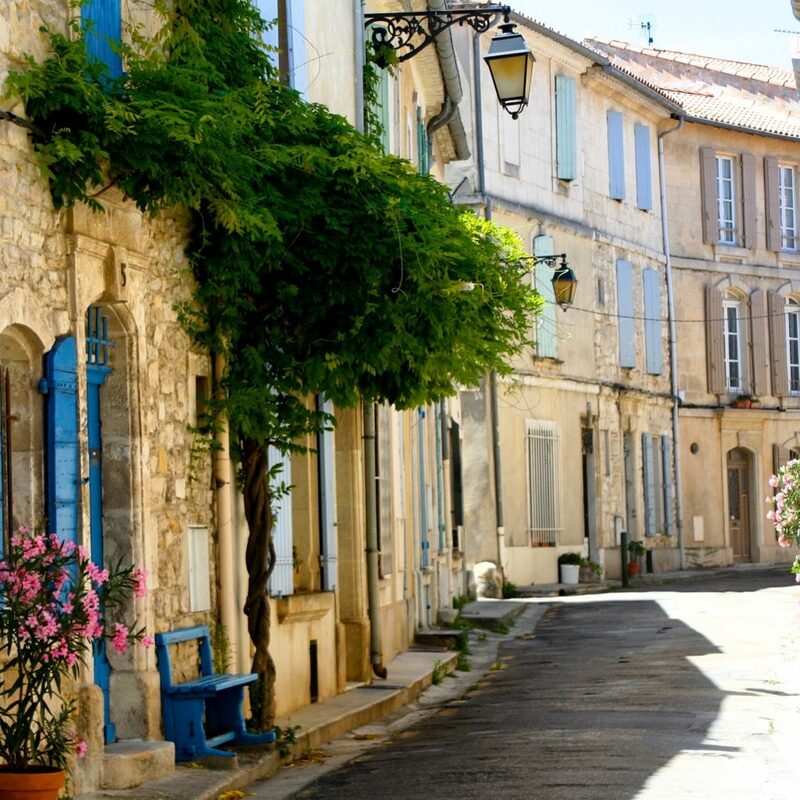 Then we will stop in Aix-en-Provence for a market day morning and afternoon stroll in Cézanne’s footsteps, before we arrive in the ancient town of Arles. 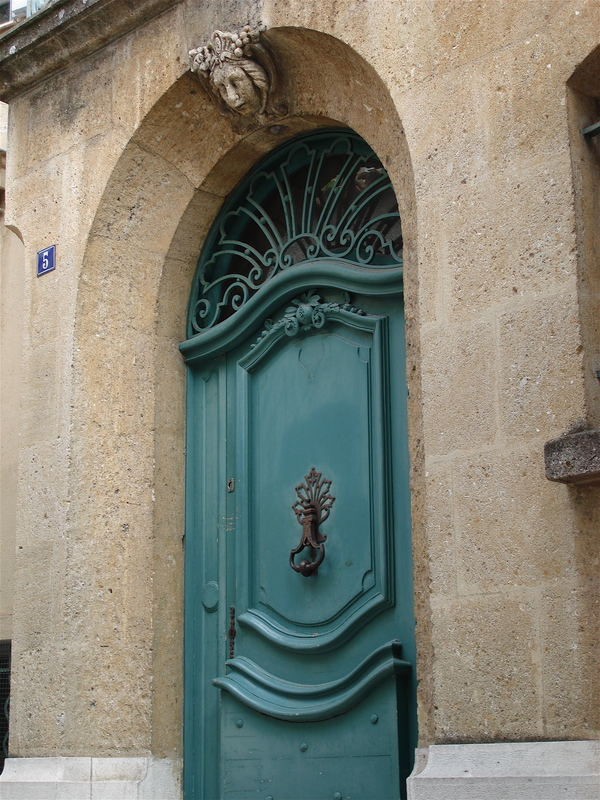 Arles is the setting for most of my latest novel, Drawing Lessons. 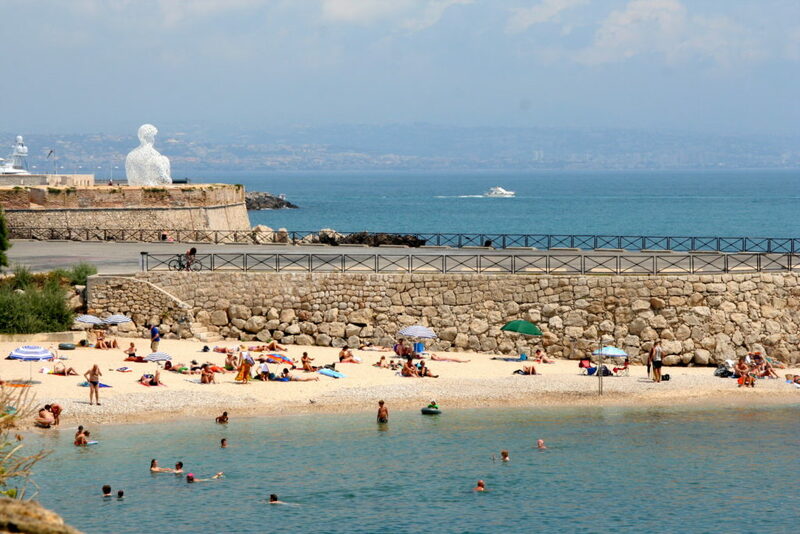 We’re going to be based here for the next week and I’ll share some of the characters’ favourite spots around town. 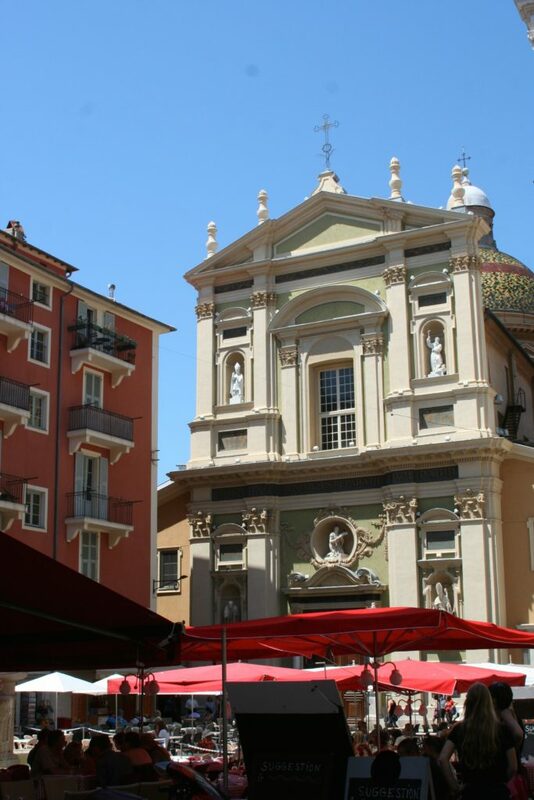 We will feel the spirit of Vincent van Gogh throughout the winding streets and be surrounded by amazing monuments from centuries of Roman civilization. 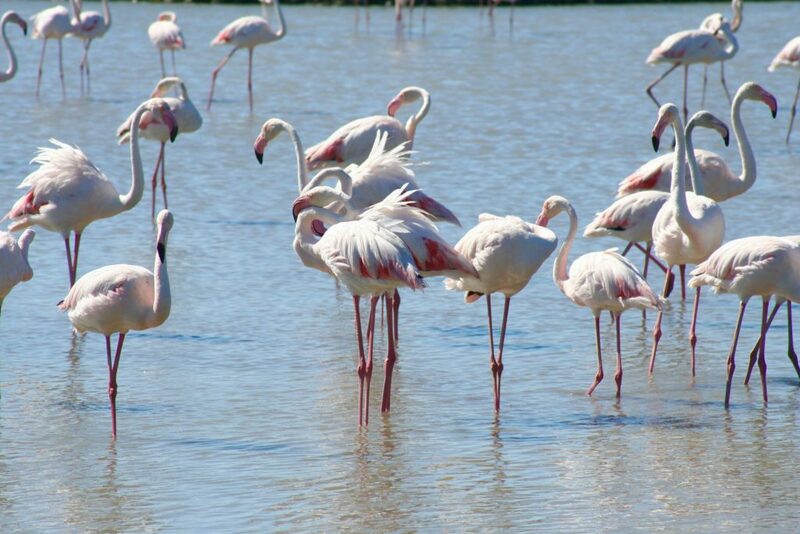 Some days will be spent discovering the fascinating environment of the Camargue. During this second week, Deborah gives us the inside stories from some of the special towns and breathtaking sights in the area she calls home! 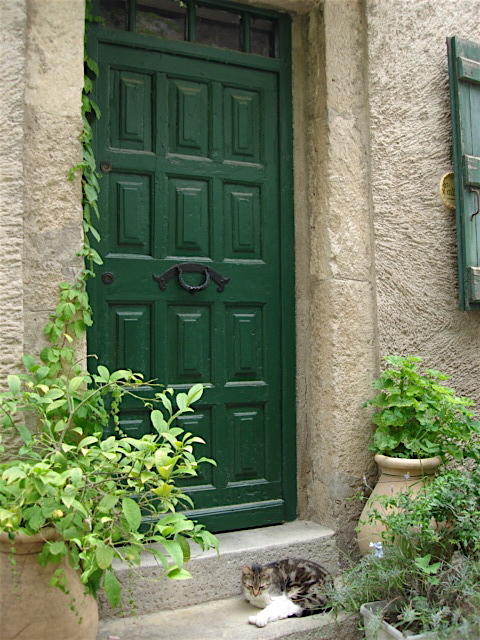 Drop by her website to see more photos and videos from the spectacular area around charming Uzès! Click here to see more details about costs. 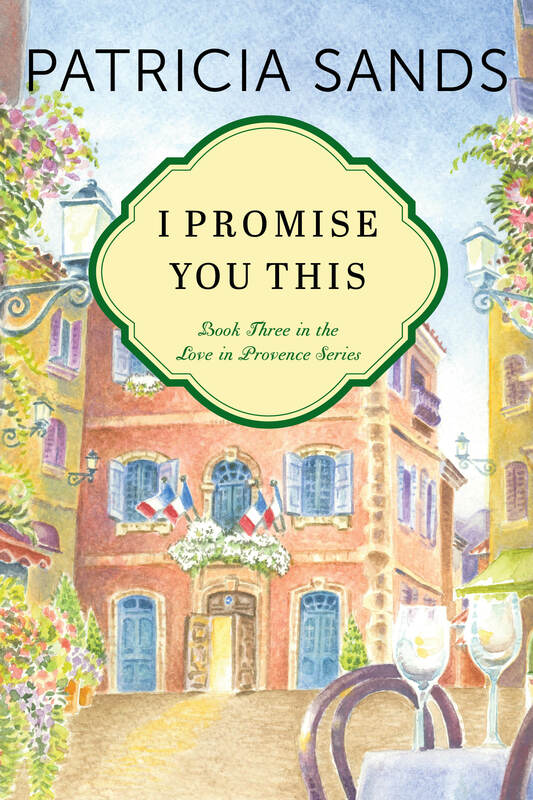 First three firm reservations will receive signed copies of Patricia Sands’ novels, Drawing Lessons and The Promise of Provence. 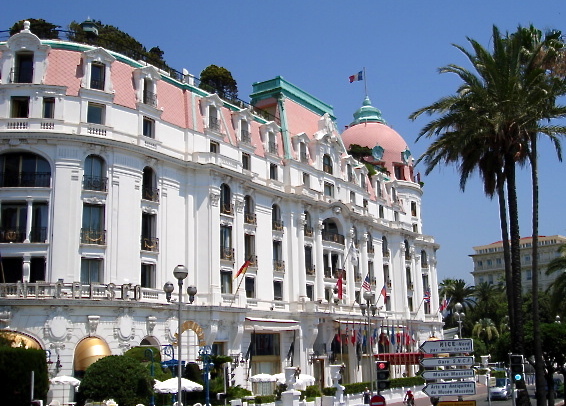 Contact Absolutely Southern France to make arrangements and see all the details of the itinerary. Don’t hesitate to contact Deborah or me, if you have any questions. The adventure is waiting to begin! Are you going to come along? 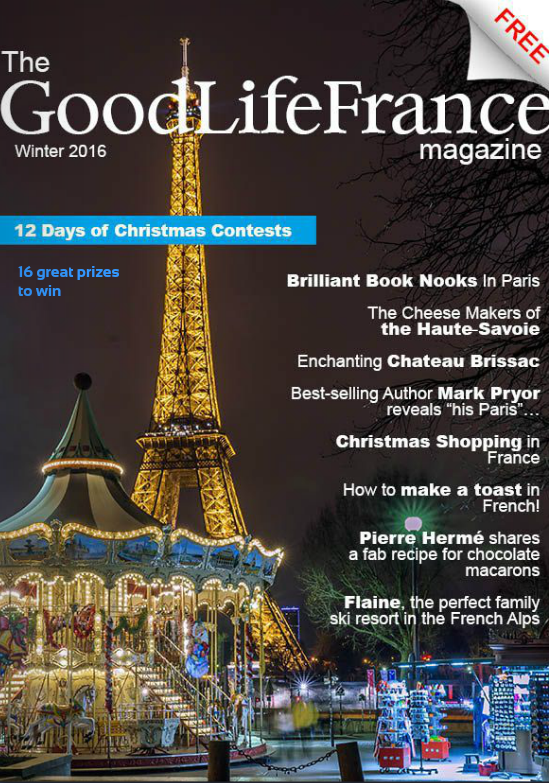 Until January 22nd, click right here to have your name entered for a draw to win one of two signed copies of Drawing Lessons in The Good Life France Winter magazine. It’s as easy as that! 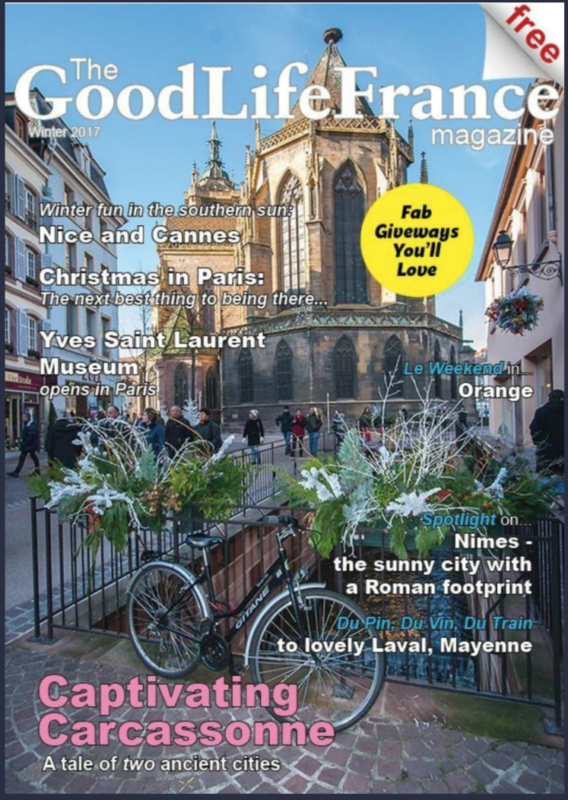 Once you’ve entered the draw, be sure to take a look through the rest of the magazine. The articles and photographs are always outstanding! The magazine is published quarterly by my good friend, the tremendously talented Janine Marsh. 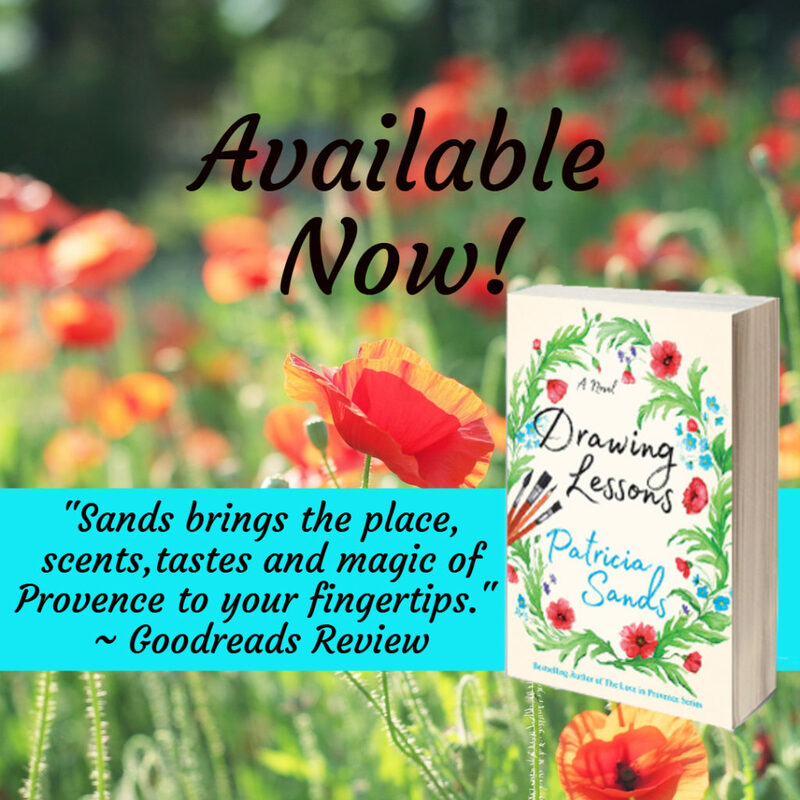 The day it arrives in my mailbox is one of my favourite times … and, as I like to say, it is FREE, FABULOUS AND ALL ABOUT FRANCE! Speaking of Janine, have you read her hilarious memoir describing how she and her husband bought and restored a rundown old barn ( her words) in the Pas de Calais area? 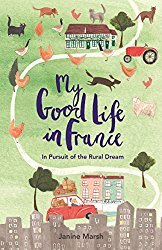 My Good Life in France is a wonderful story that will have you laughing out loud and possibly will persuade you to follow a dream of your own. Pourquoi pas? 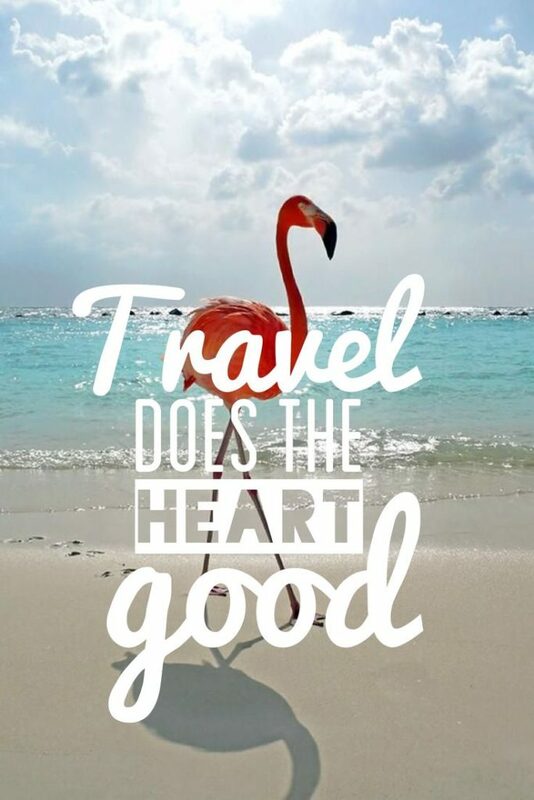 Have you ever considered spending an extended time in a foreign country? Another good book to read along this same line was featured here on my blog a few weeks ago. 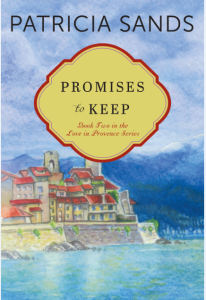 Click here to read about Keith Van Sickle’s, memoir, One Sip at a Time: Learning to Live in Provence. 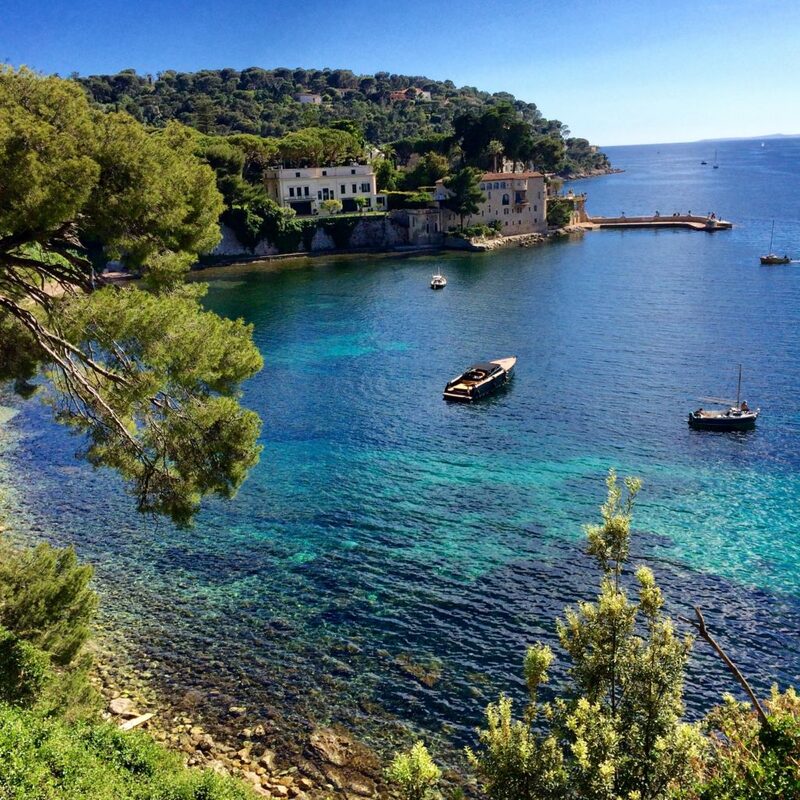 On the subject of following a dream, here are a few photos that always stir my French fantasies and have me counting the days until I return to the Côte d’Azur. Enjoy! Good luck with the draw! Do you spend time dreaming of a life somewhere else? 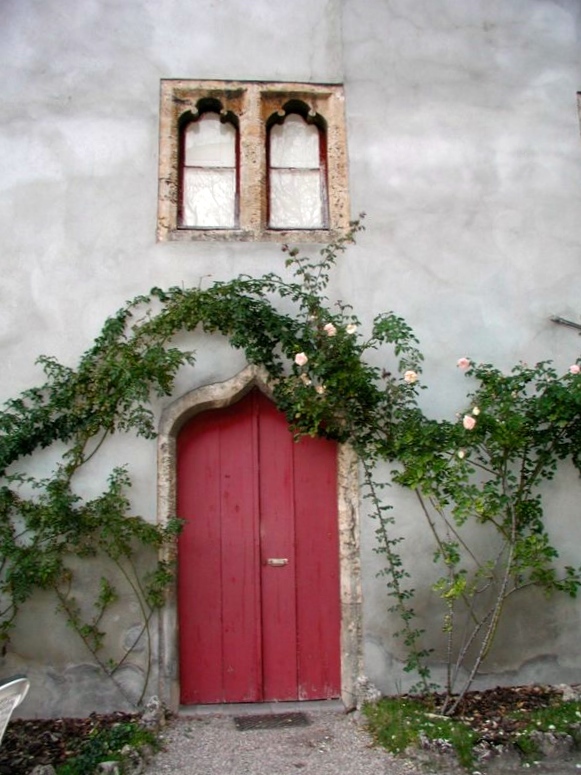 As many of you know, I have an addiction to photographing doors and windows in France. 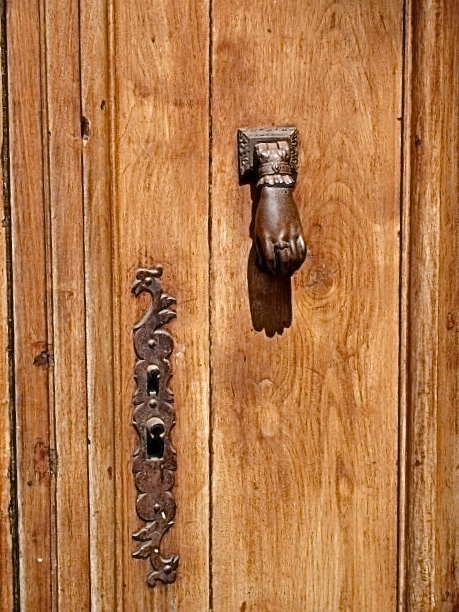 Today I’ve been writing about a door in a story I’m working on. 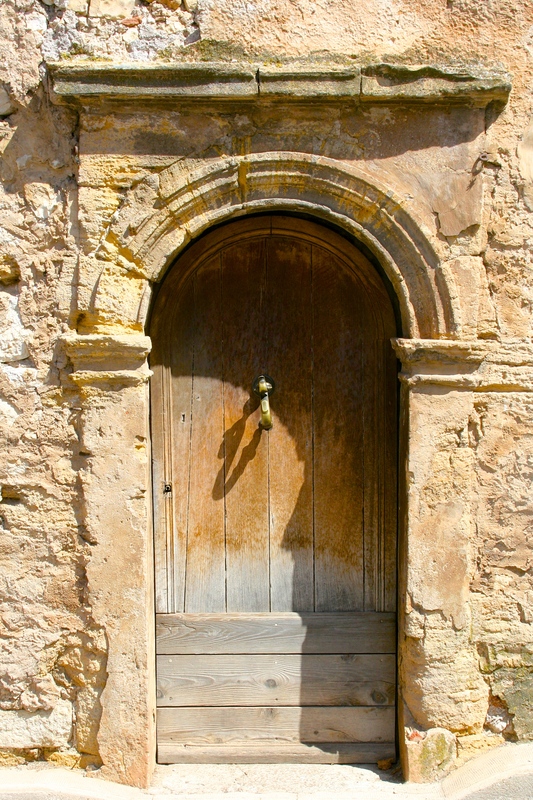 I spent quite a bit of time sifting through door photos, so I thought I would share a few of my favourites here. I walked past this door (below) several times a week on my way to the daily marché in Antibes last summer. I fell in love with it and it’s going to be on the cover of my 2018 calendar. 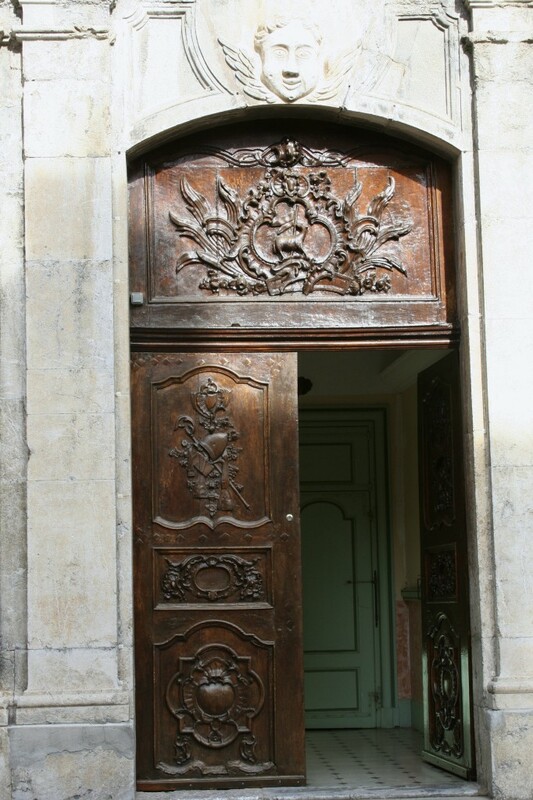 The fancy iron grills at the top of many doors were part of the early method of “air-conditioning”. Fresh air would be drawn in through those openings and flow through to an inner courtyard where it would rise up and out an opening at roof level, helping to cool the interior. 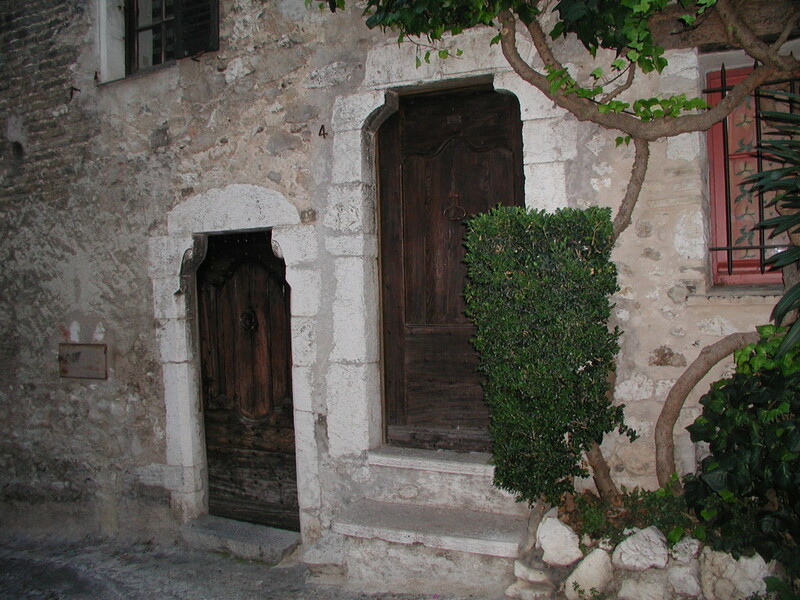 Look for them when you are walking through the vieille villes (old towns). These grills alone make pleasing photo collections. 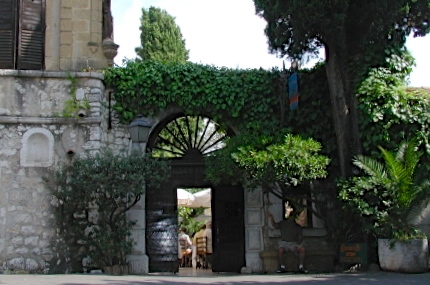 The door in this wall leads to the restaurant terrace of the famed La Colombe d’Or in Saint Paul de Vence. 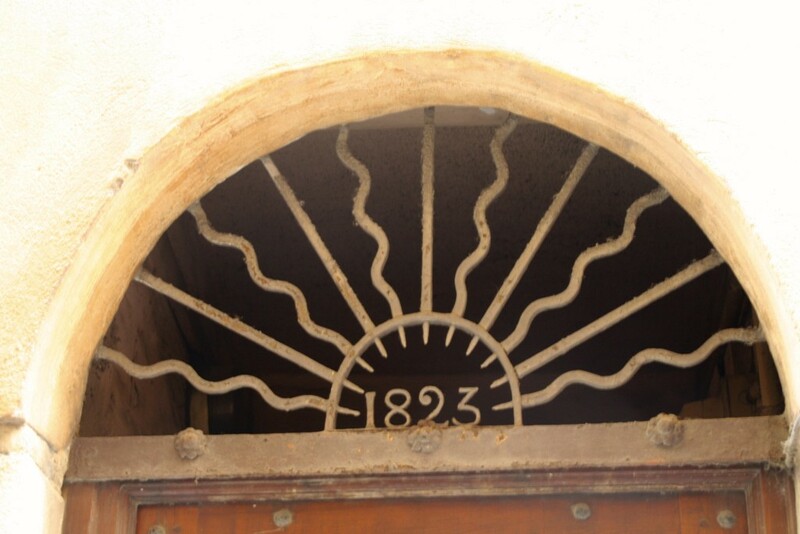 Click that link to read the entertaining history of this inn. It’s quite the story! If you visit in the summer, be sure to make a reservation. 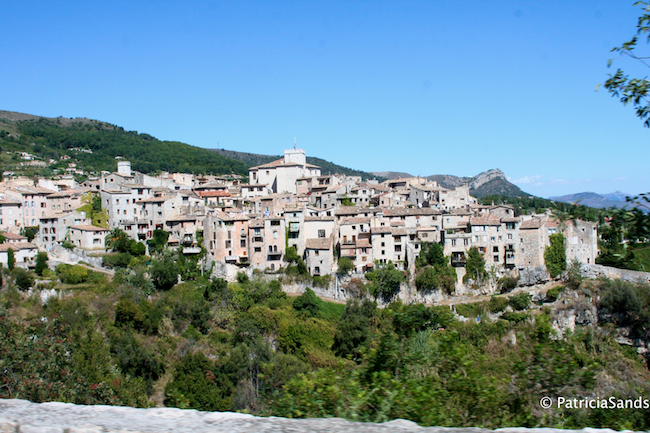 Now we’re strolling in the charming village of Tourrettes sur Loup. 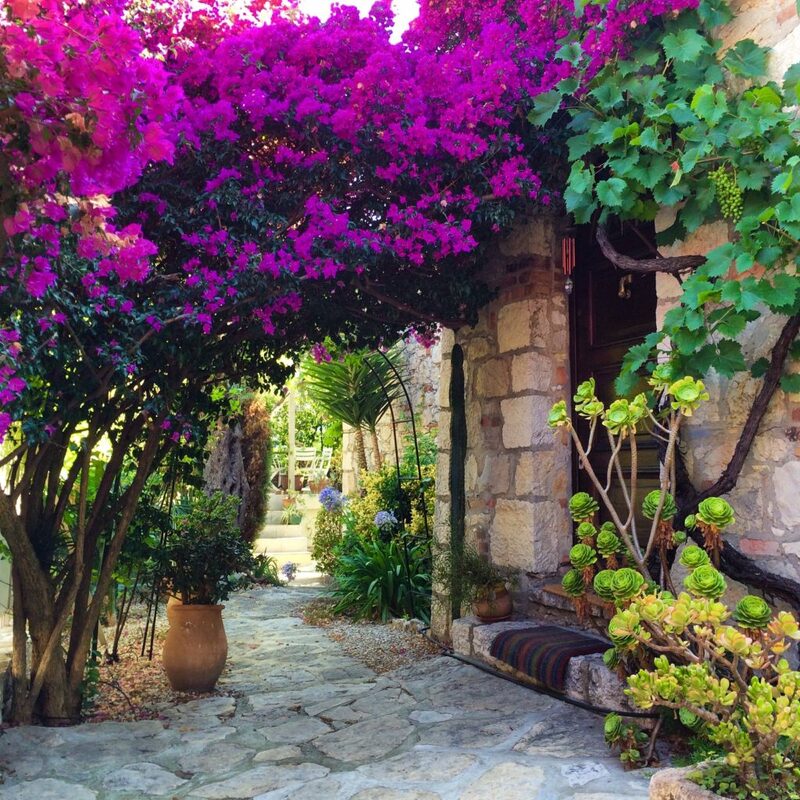 Stop here for violet ice cream and visit Le Bois d’Olivier, IMHO, the shop with the best handcrafted olive wood products in the region. Click on that link and look at the photos on their website. I think you will agree. 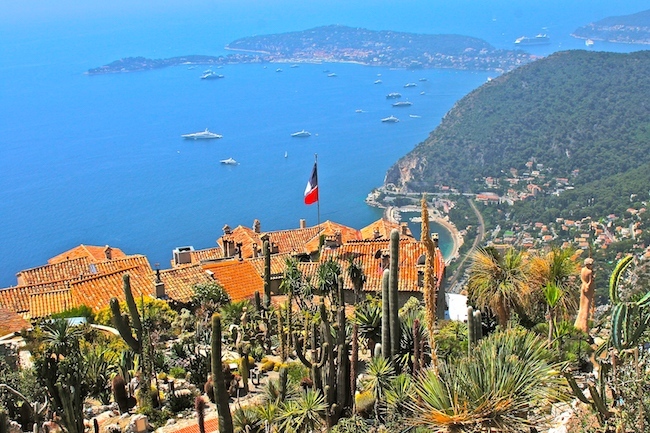 Visiting Saint Tropez above. 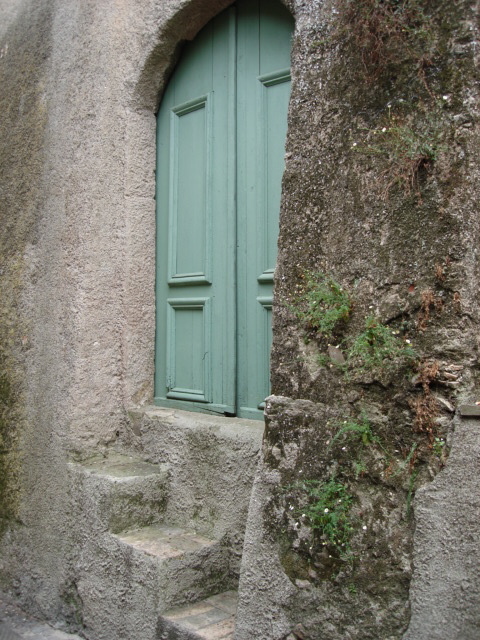 This pretty portal below may look familiar … I keep it on the home page of my website. Imagine the size of the keys they carried around! 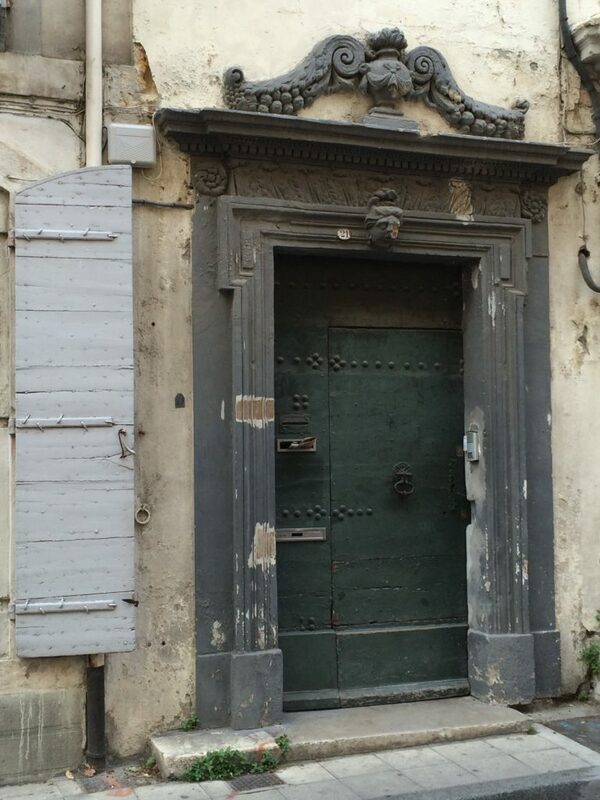 When one door opens, who knows what lies beyond? Something old, something new (note the repair at the bottom). 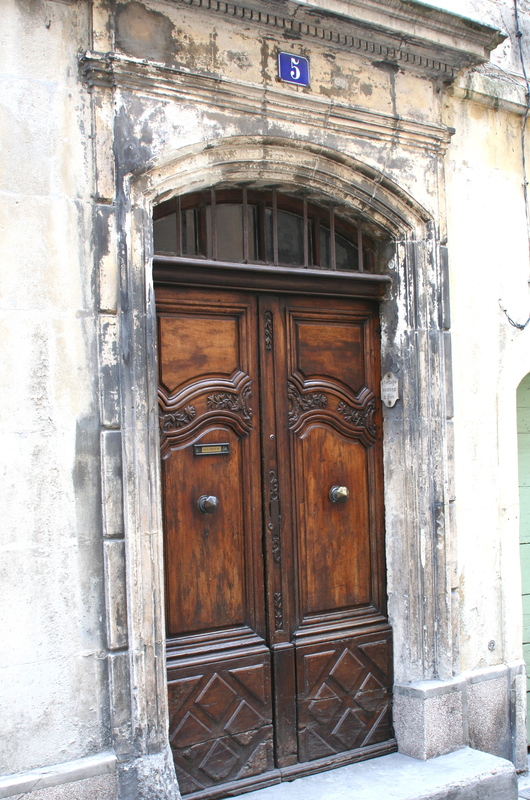 What else do you do when your centuries-old door starts rotting away? 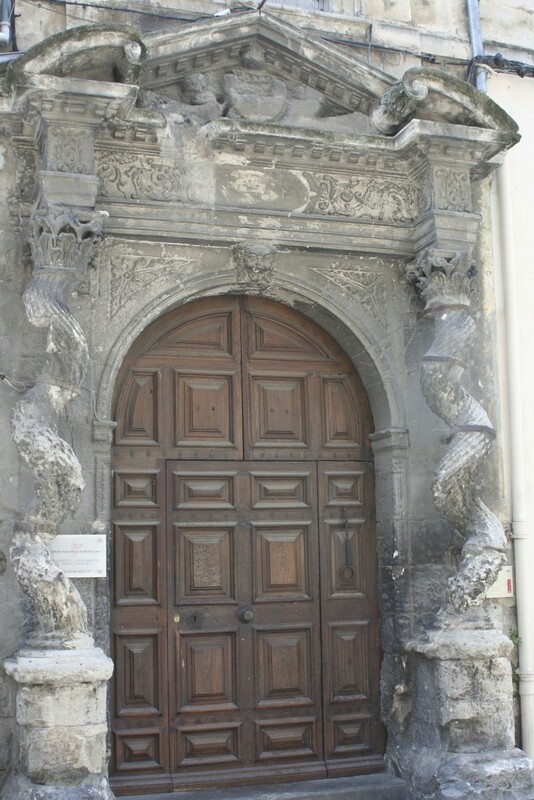 The lower door was once for the donkey. See the date on the left side? 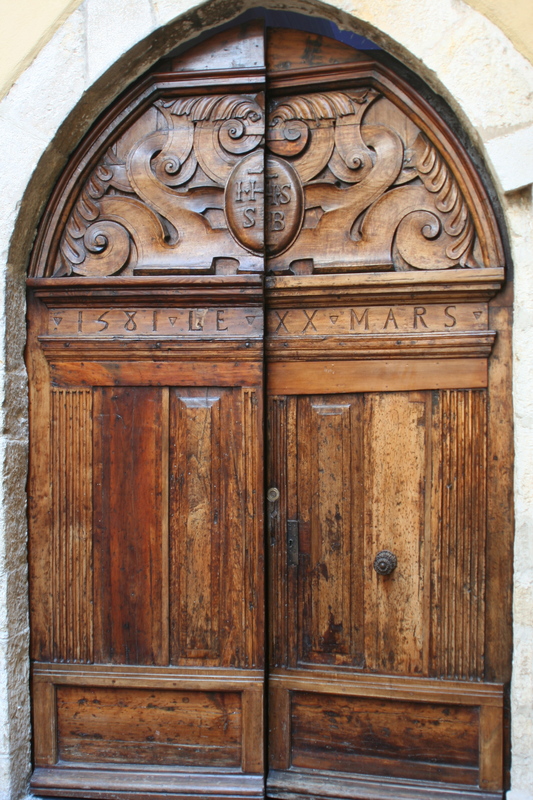 1581 … After the villagers and farmers of the area survived a deadly plague, they had these doors carved for la chapelle Saint Bernardin in Antibes to give thanks to God for sparing their lives. 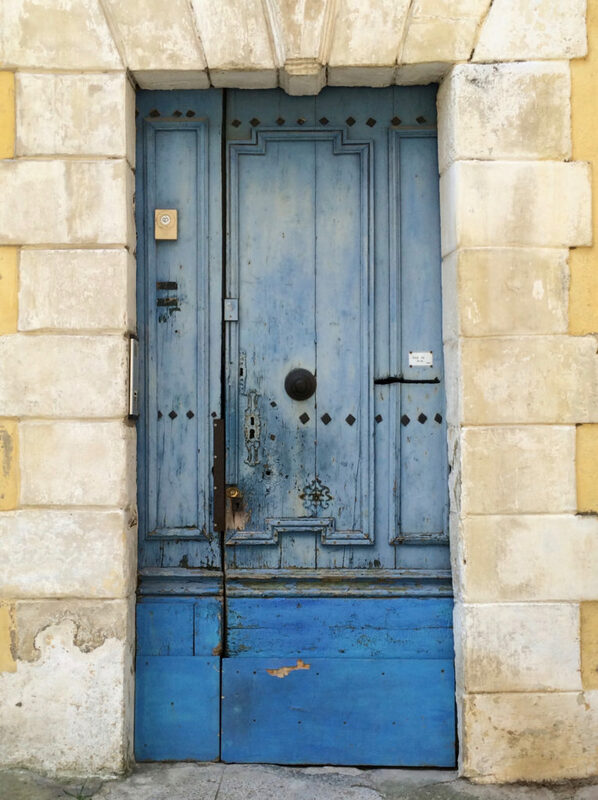 When we lived in Antibes while I wrote The Promise of Provence, I would walk past these doors every day and often stopped just to press my hands on them. There was an aura and sense of history about them that inspired me. 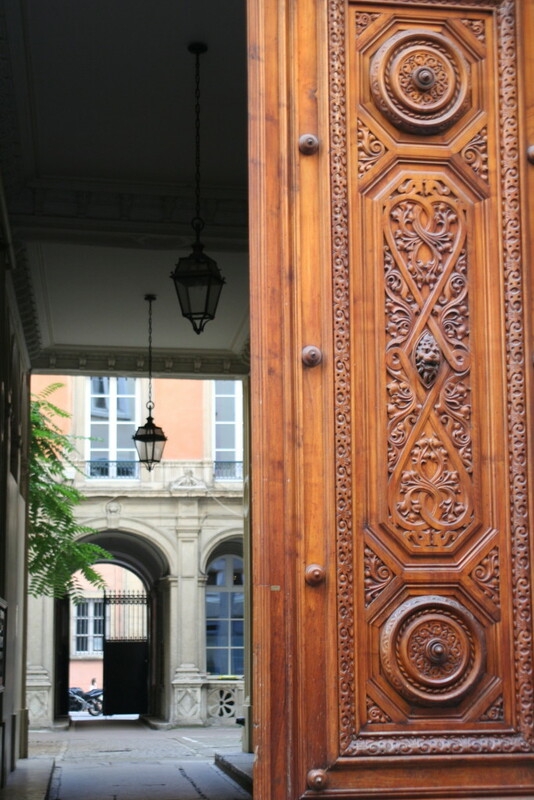 Do you like to take photos of doors when you travel? 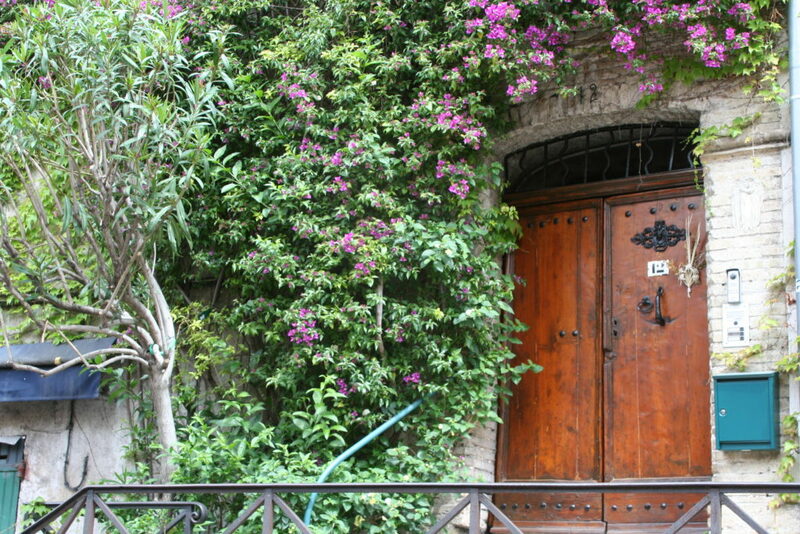 Where have you found your favourite portals? Bon weekend tout le monde! All photos on this site are the copyright of Patricia Sands. Bonjour everyone! It’s been a busy few weeks for me since Drawing Lessons was published on October 1st! How’s November going for you? In fact, Saturday was here before I realized Friday was gone, so please excuse this post being a day late. There’s always a lot to do once a new novel is published and most of it includes writing blog posts to share on other websites. We all try to help each other passing along the good news! 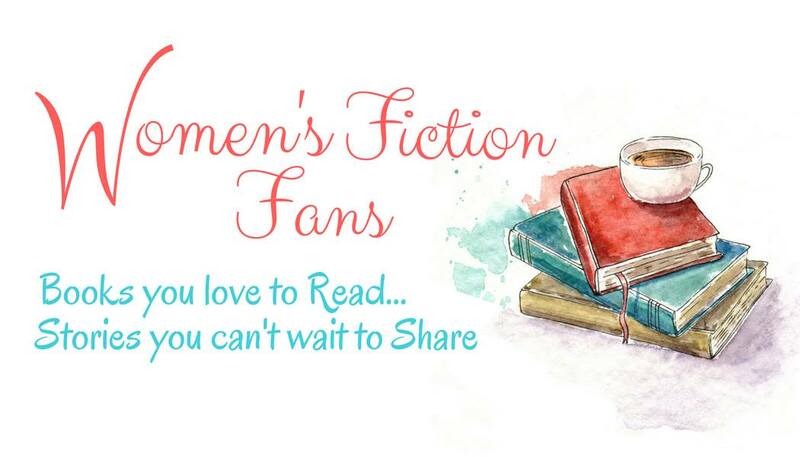 If you have some time this weekend, you might want to pop over to my dear friend Steena Holmes‘ blog. 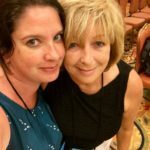 This photo was taken at the NINC writers’ conference we attended in Florida last month. It was SO good to spend time together in person. Steena’s home is in Calgary. 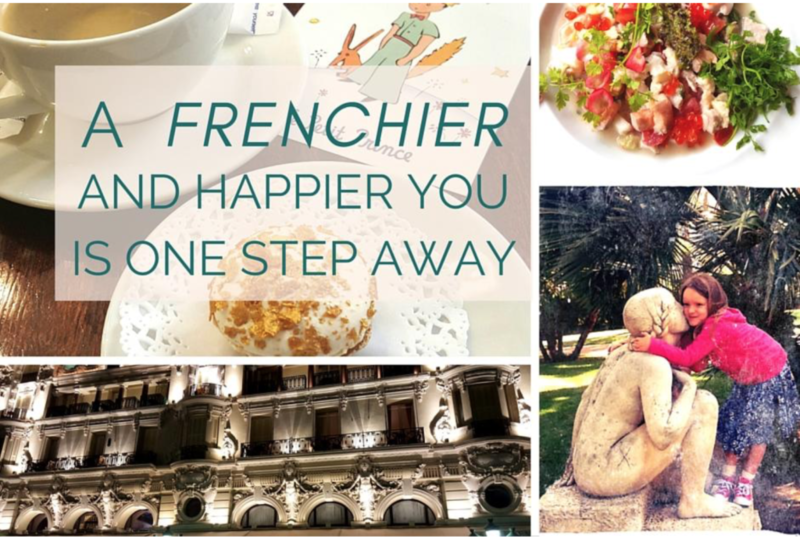 It’s always a pleasure to visit on her blog and fun to share a few secrets … that’s one of her specialities! She consistently manages to tease a few tidbits from the friends she invites over … just one reason she’s known as Sweet Steena! 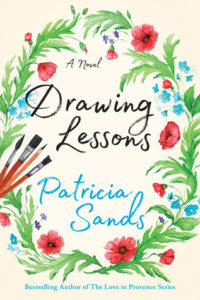 There’s also a giveaway for a print copy of Drawing Lessons, so don’t forget to leave a comment there to have your name entered! Click right here and Good luck ~ Bonne chance! 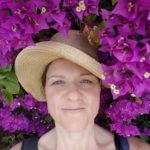 Now, here’s some more love for you ~ a post written by another dear friend, Deborah Bine aka The Barefoot Blogger. 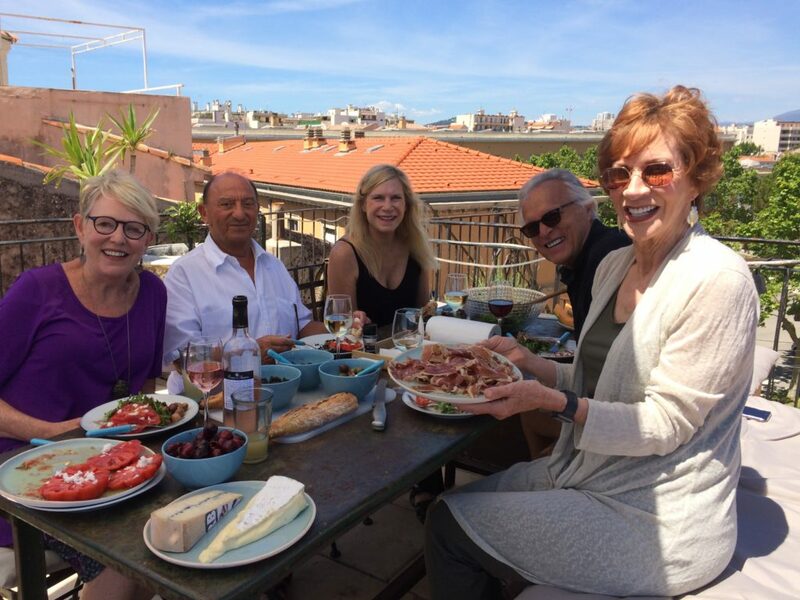 Deb’s visits to us on the Côte d’Azur, with her fab friends, Paula and Rich, have become a happy tradition. Always a deliciously good time! 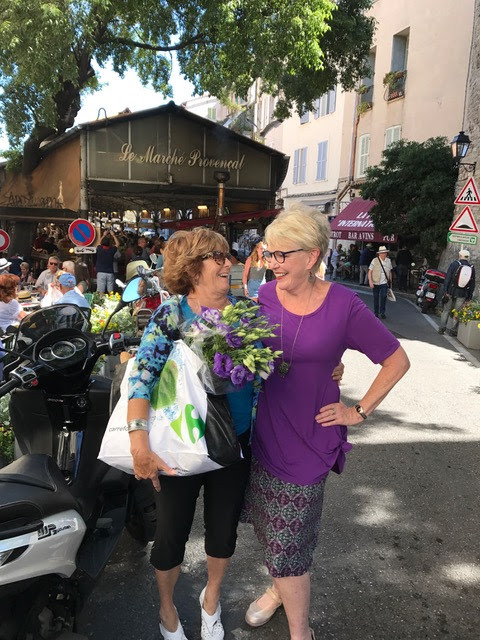 Deb lives in Uzès and gets around France more than most people I know. Then she writes great articles about her travels. 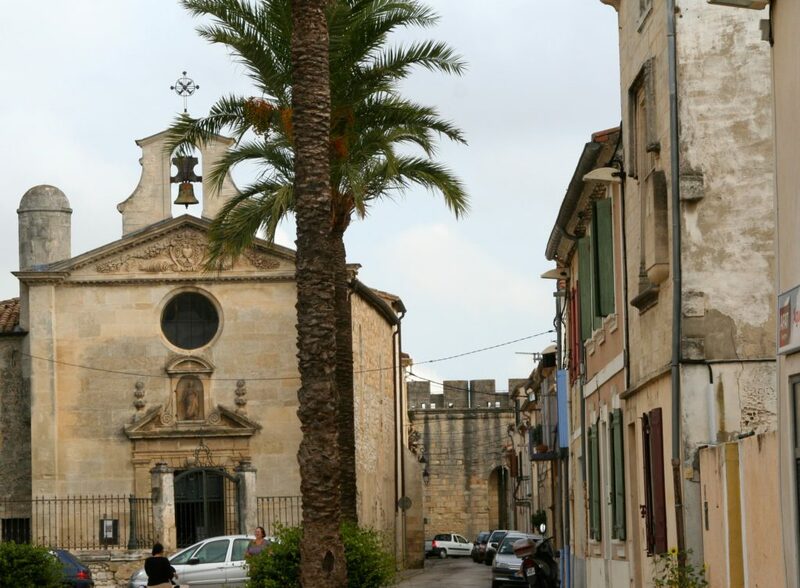 This post of hers about the ancient and enticing walled town of Aigues-Mortes in the Camargue, ties into the story from Drawing Lessons and really tells you everything you would like to know about the history and the charm of the area. 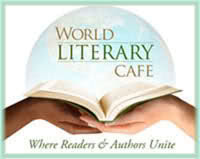 I hope you will take a few minutes to linger there and feel like you’ve truly had a visit! 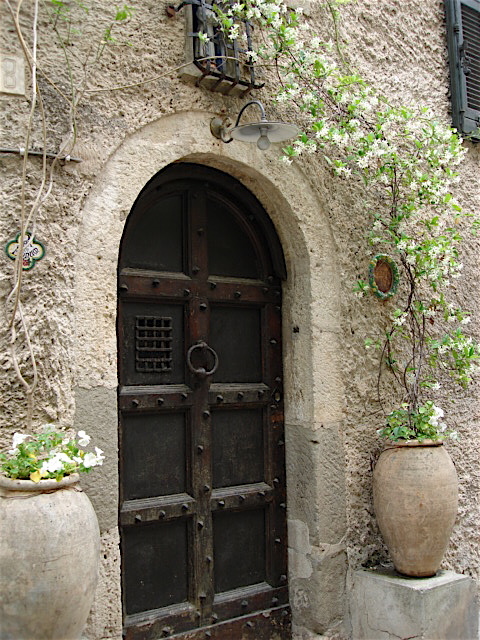 Then you’ll understand why Arianna, the main character in my novel, was so smitten with the town and … well, I’ll let you read the novel to discover the answer to the rest of that sentence. 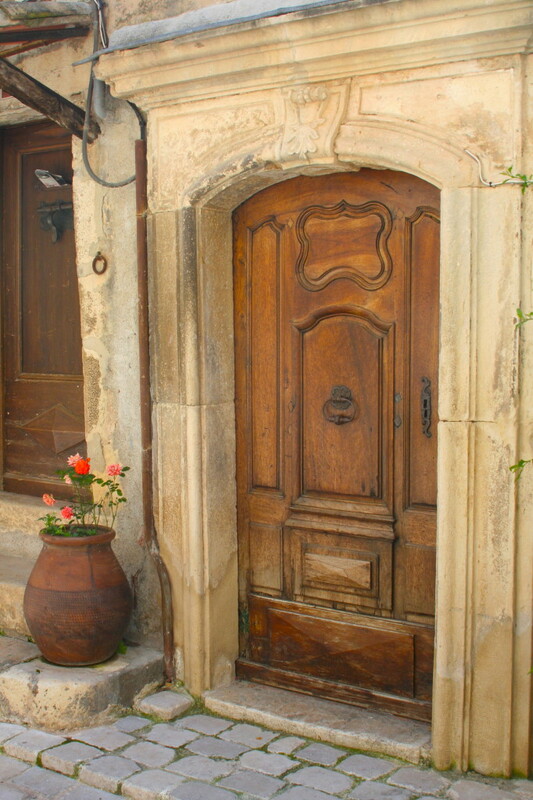 Click right here to read Deb’s article and enjoy Aigues-Mortes! In fact, it would be a good idea to subscribe to her site so you don’t miss all the other travels she shares. 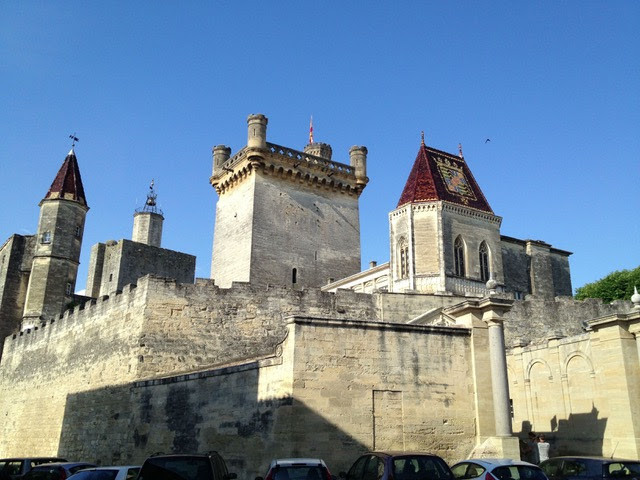 This is a photo I took inside the walls of Aigues-Mortes when I was doing research for Drawing Lessons. 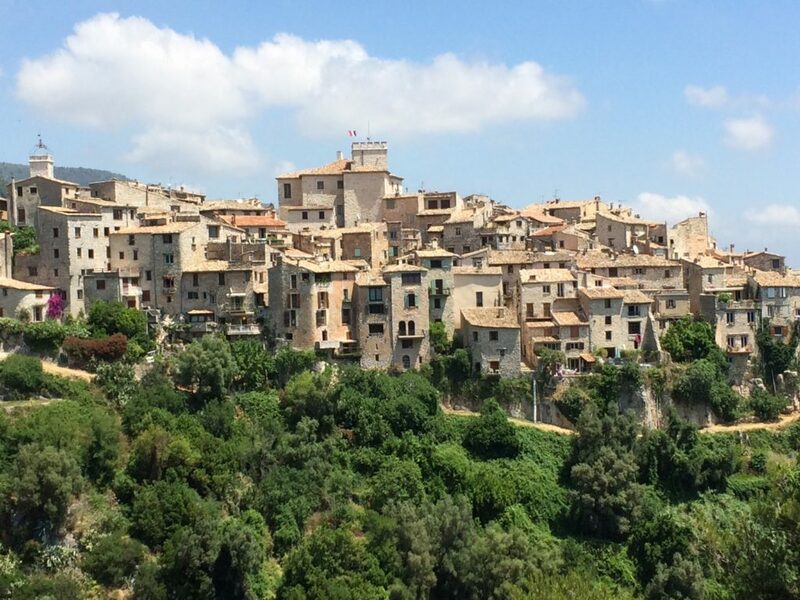 Click this link to hear how to pronounce the town’s name. It’s easier than it looks! 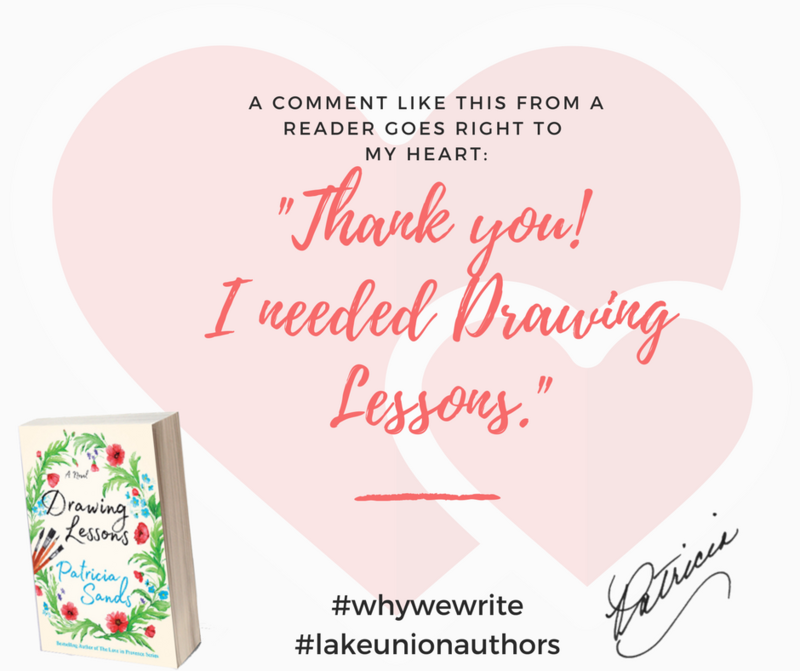 Thank you to everyone who has taken the time to post a review for Drawing Lessons. I’m delighted you’ve enjoyed the story so much it has a 4.6 stars rating. 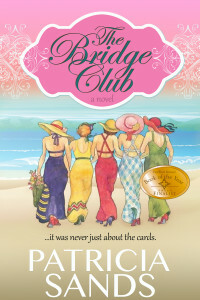 Every time a review is written, it’s like sharing the love for an author … and it is most appreciated. 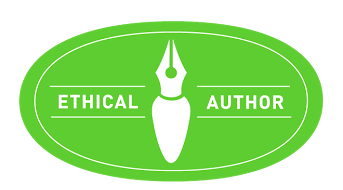 The Federal Trade Commission requires that I disclose any relationship I have between a product manufacturer or service provider when I write about a product or service. I may receive a small commission for purchases made via affiliate links on this site such as Amazon. The above does not affect my opinion of those products and services. 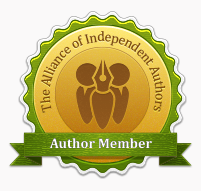 I am committed to sharing the work of other authors with my friends and readers.